HBO has released a teaser video for the eighth and final season of Game of Thrones, which will premiere next year in April. The video shows a map of Westeros, and across the map are little figures representing the sigils from the different families. The dire wolf and dragon are engulfed in ice and the lion is engulfed in flames. There is so much symbolism, and it looks like Jon Snow and Daenerys Targaryen have teamed up to do battle against Cersei. The spreading of ice looks to symbolize the Night King and his forces taking over the northern parts of Westeros, with King’s Landing burning. It truly will be a song of ice and fire. In the previous season, we had Daenerys and Jon making love, and the two have indeed decided to join forces. They also had plans to enlist Cersei and her army to help fight the White Walkers, but she has other deceitful plans instead. The biggest non-surprise is the reveal of Jon Snow as the son of Rhaegar Targaryen. So that will definitely make things awkward with Jon and Dany. We’re pretty sure Cersei will approve of their pairing if she’s not so busy hating on everyone. The upcoming season will have the least episodes with just six episodes. Even though the episode count is smaller, it’s the biggest one yet. The final and eighth season of Game of Thrones premieres in April 2019 on HBO. 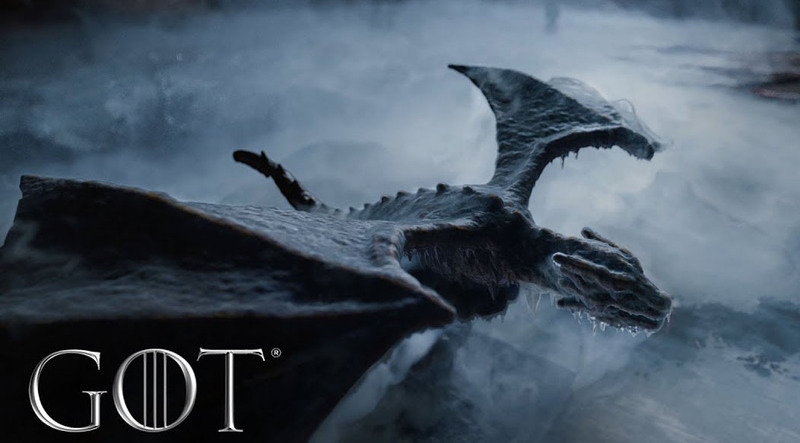 The post Game of Thrones’ final season teaser shows battle of ice and fire appeared first on Nerd Reactor.